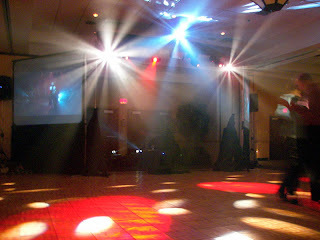 Here's a shot of a holiday party we did Saturday. This event featured two 10' video screens on each side. A great night and tons of fun!